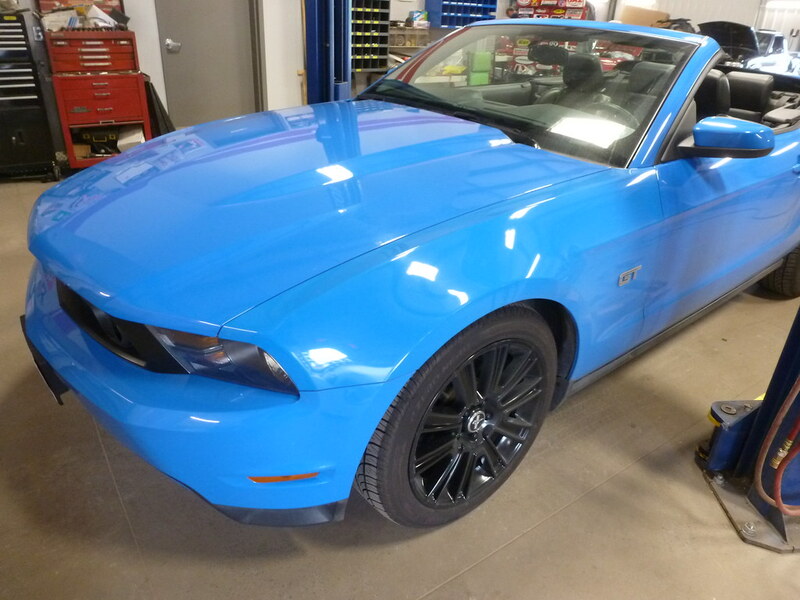 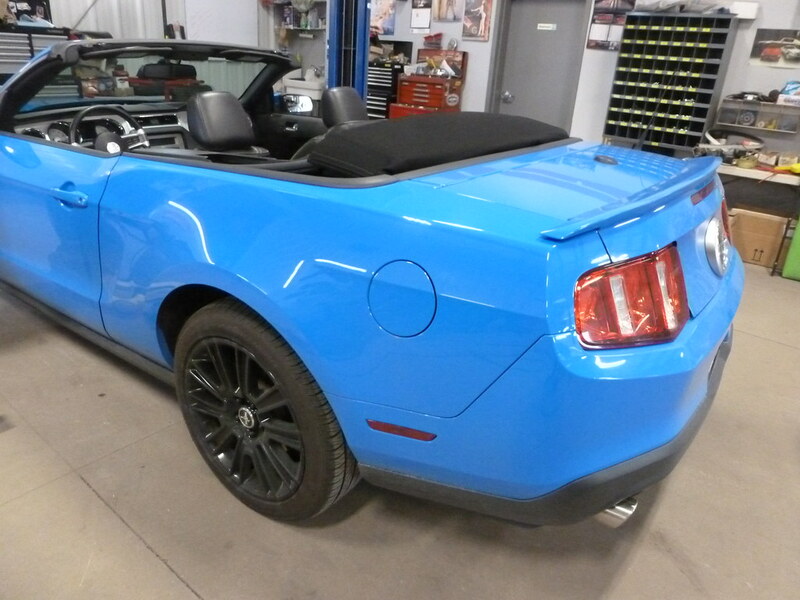 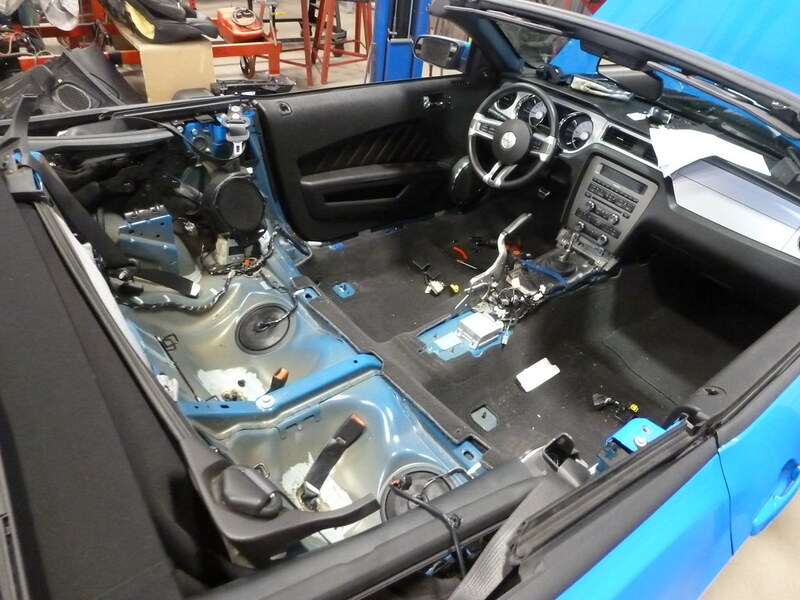 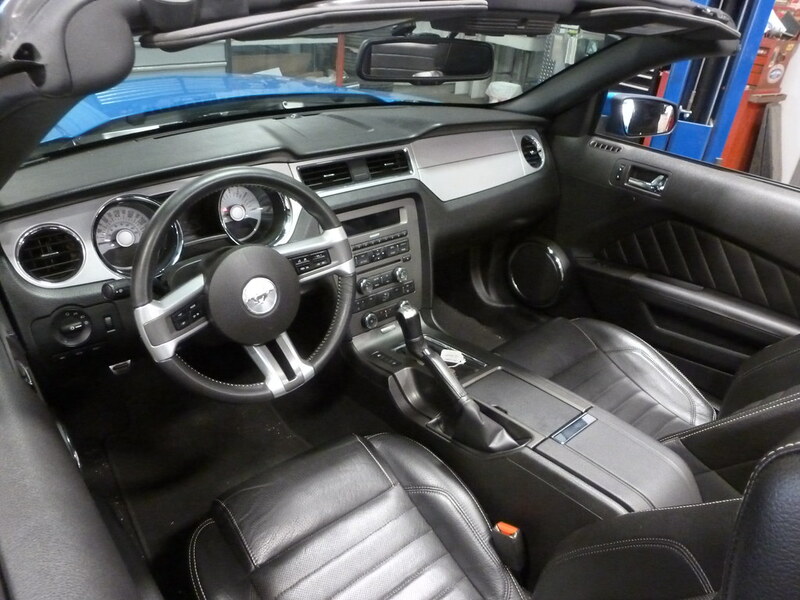 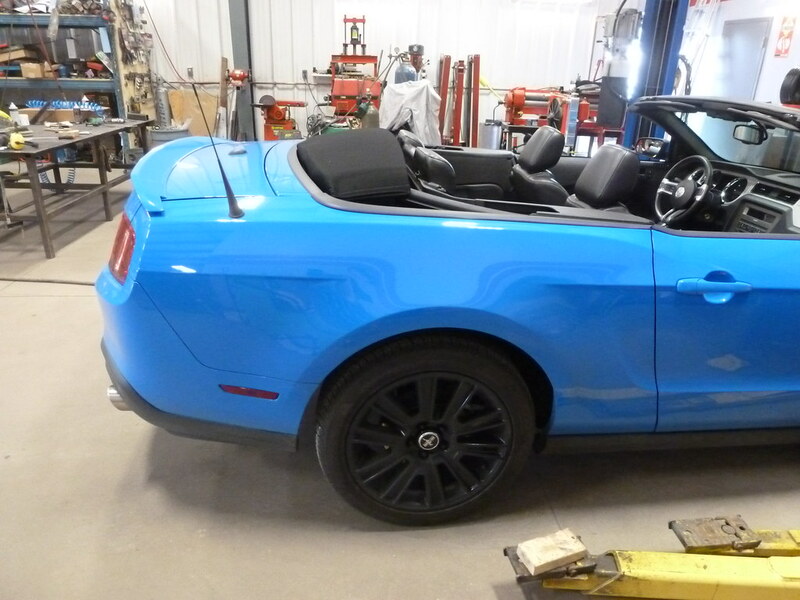 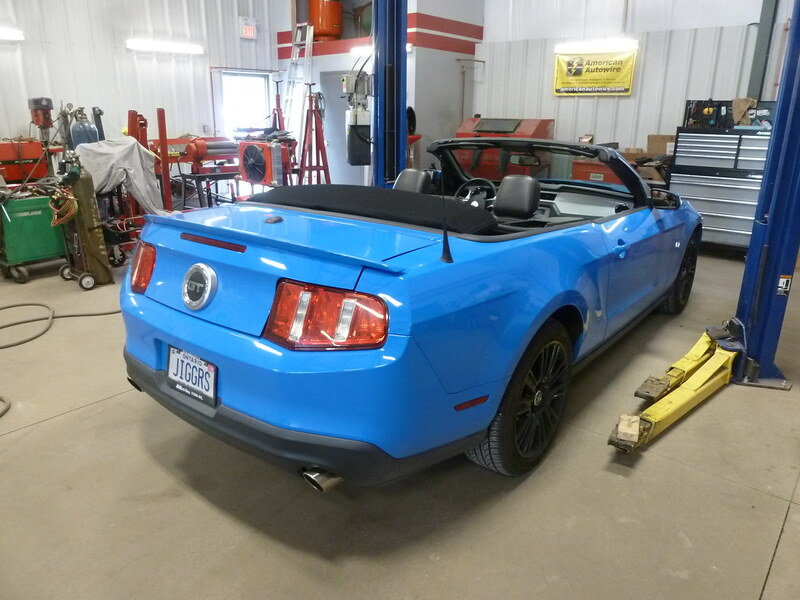 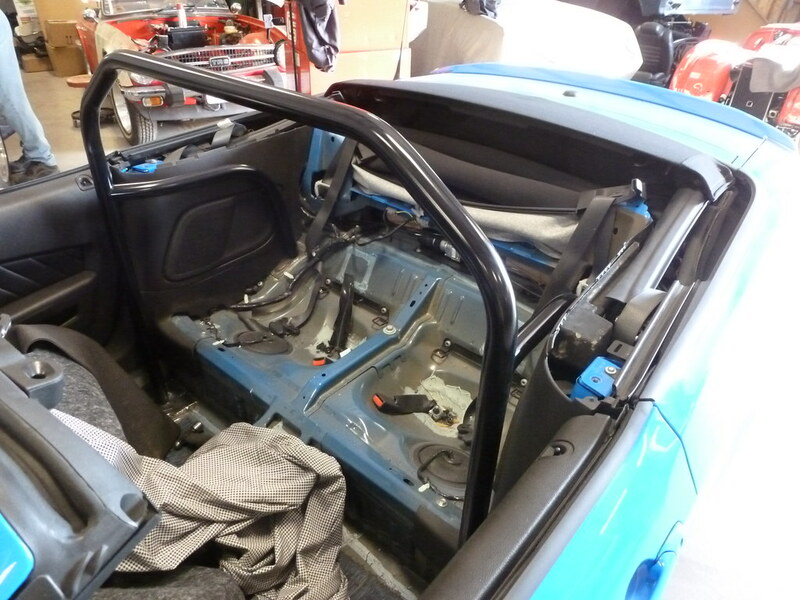 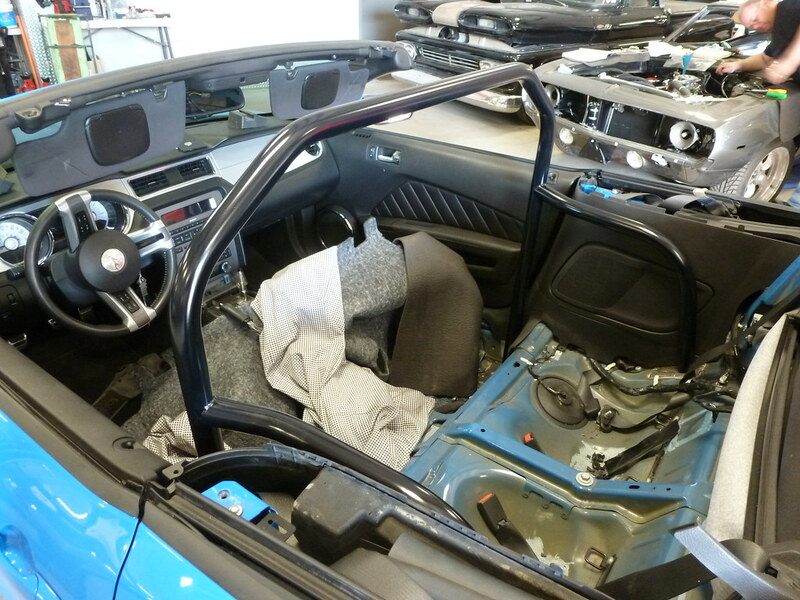 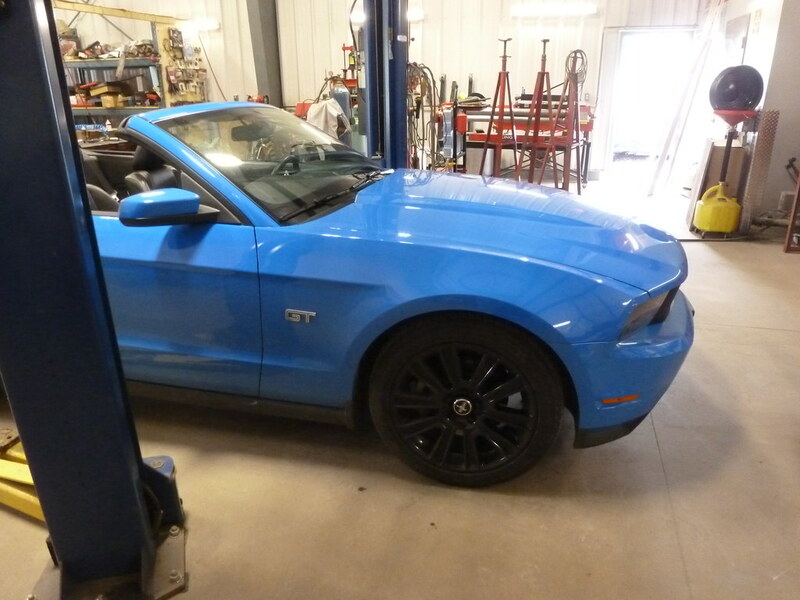 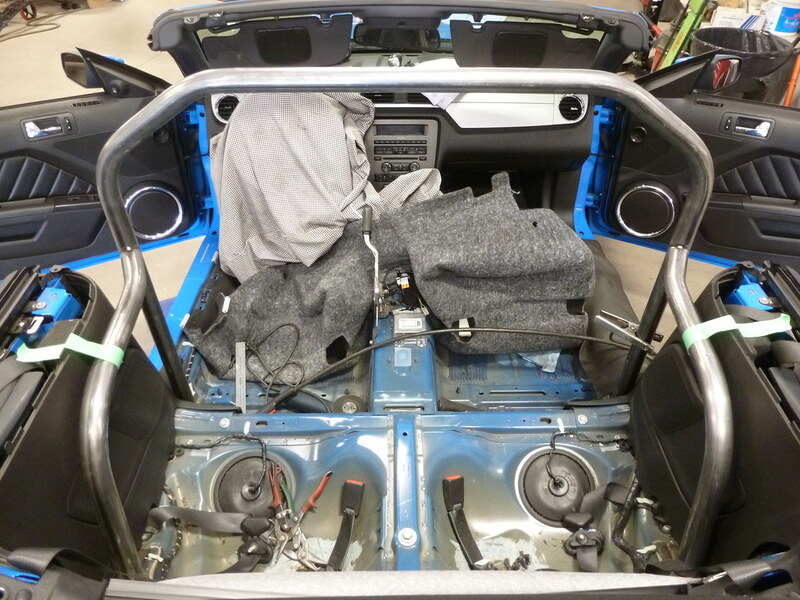 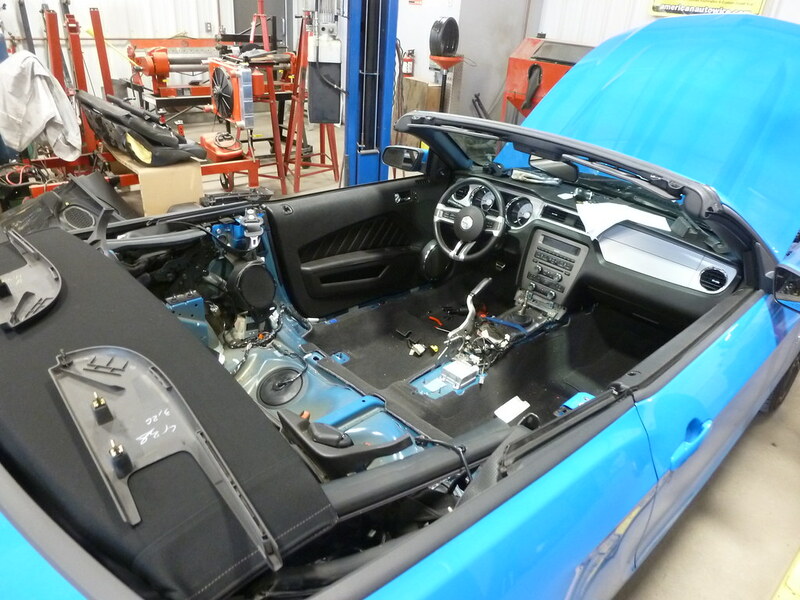 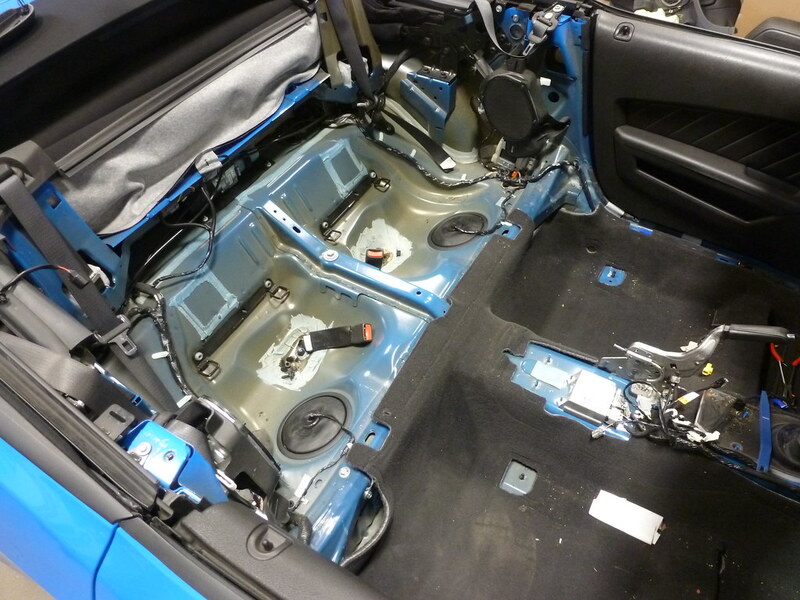 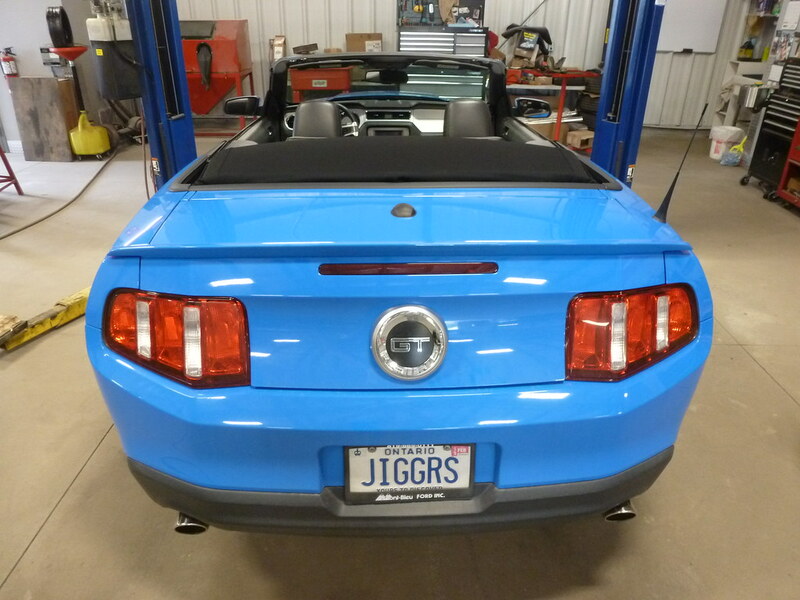 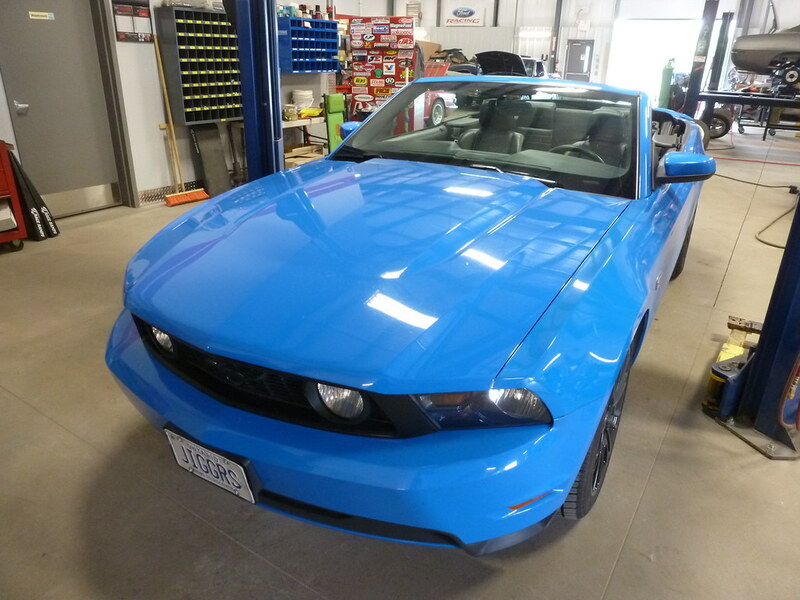 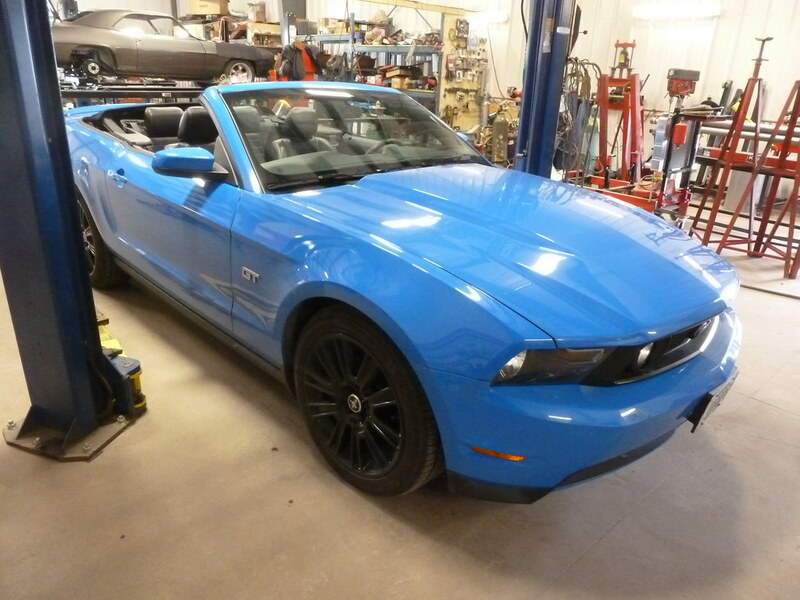 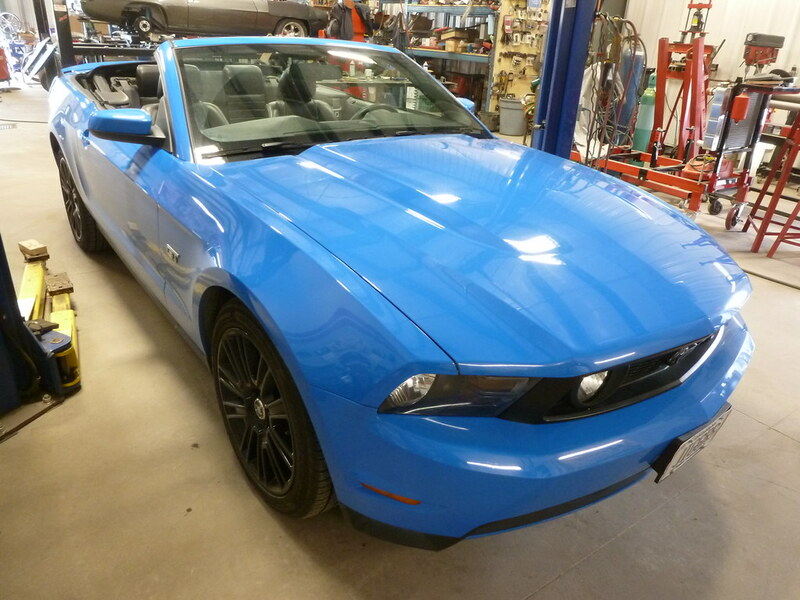 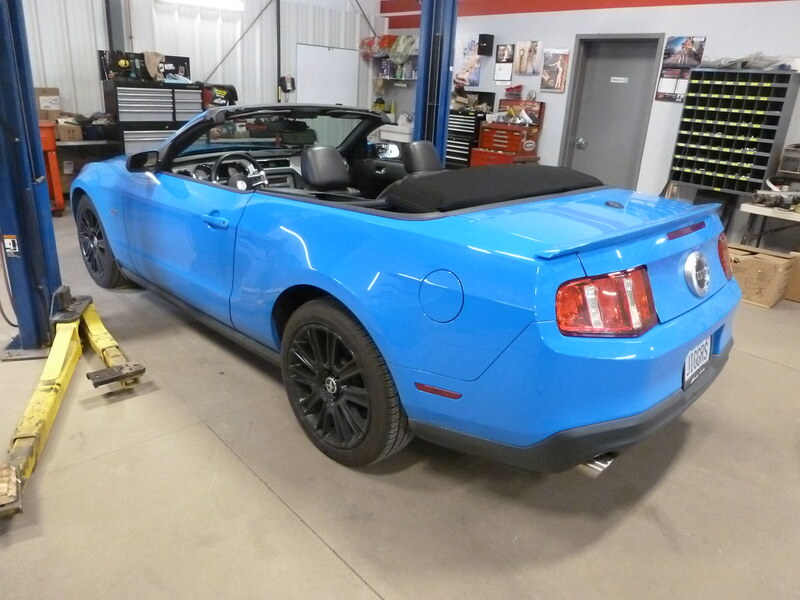 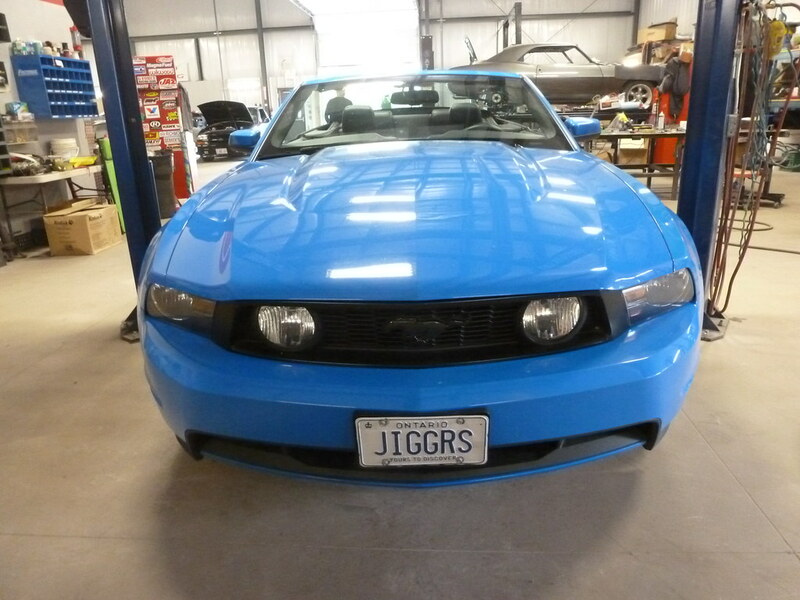 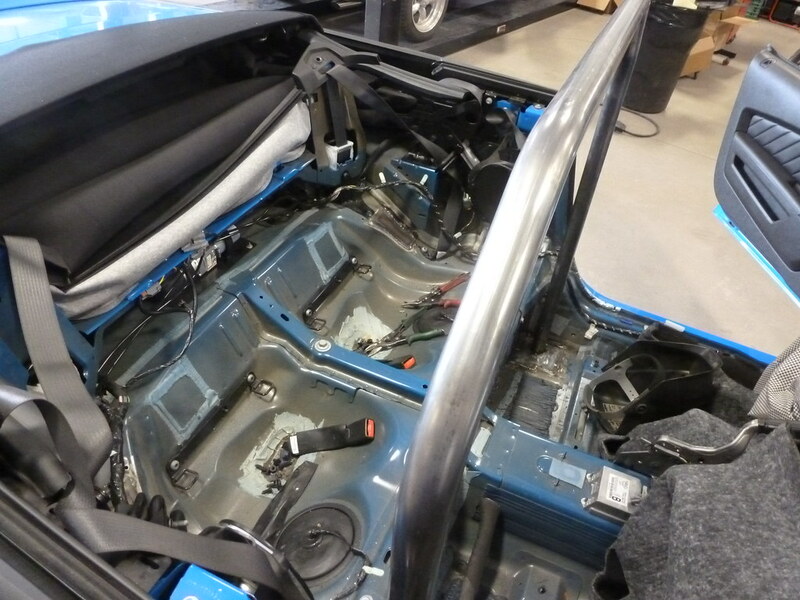 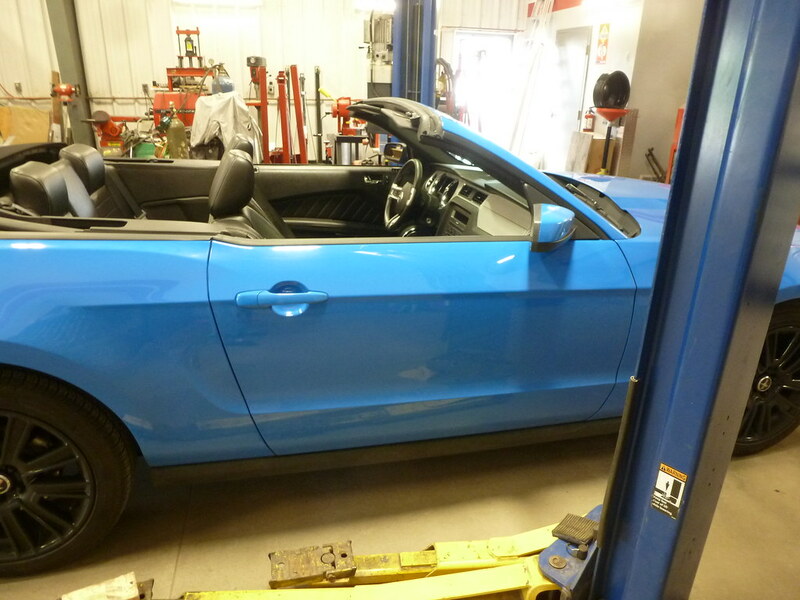 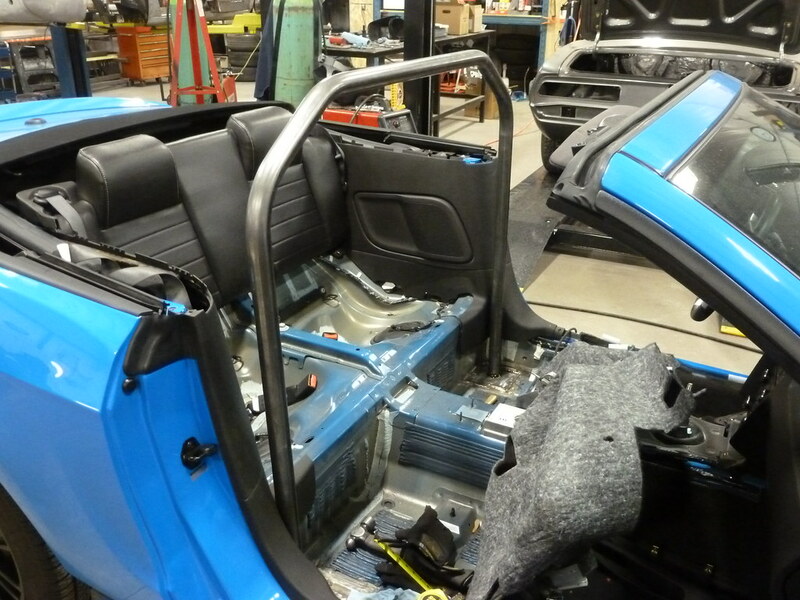 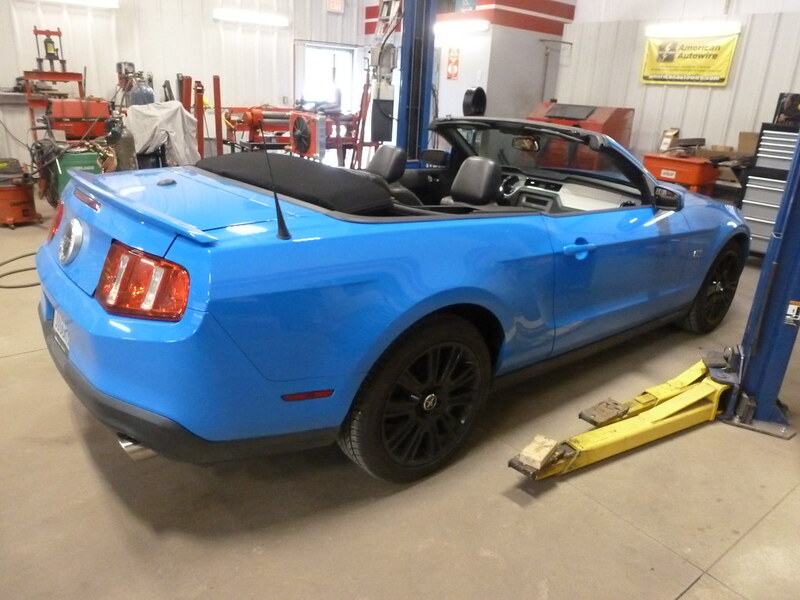 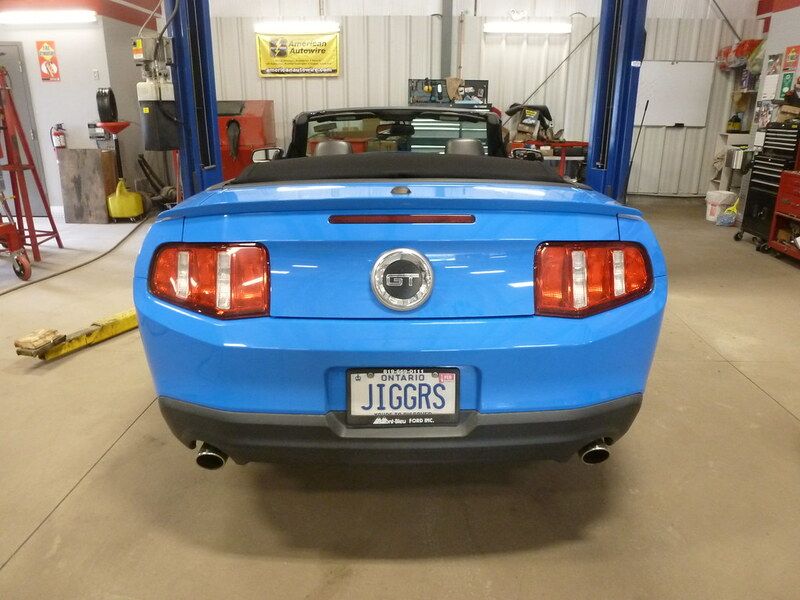 This wicked blue Mustang GT came in for a custom 4 point roll cage. 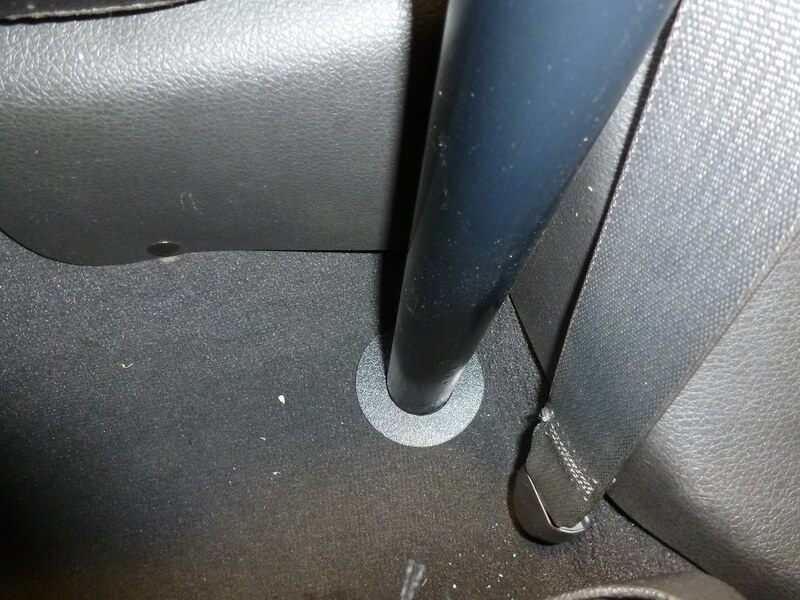 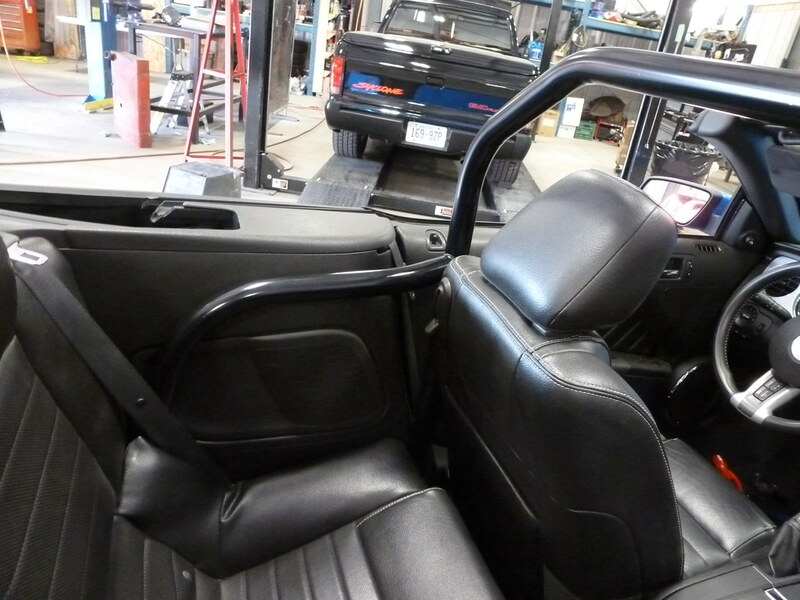 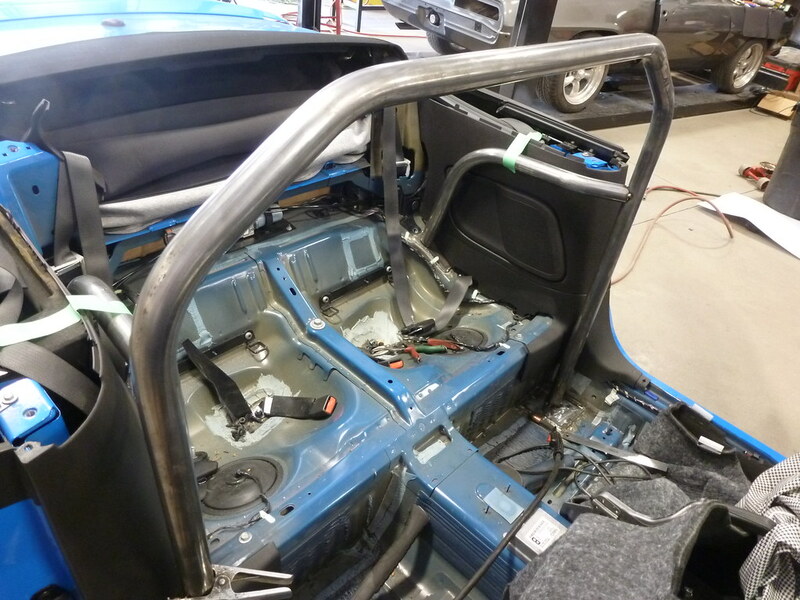 We fabricated the bar to work around the stock roof mechanism and rear seats. 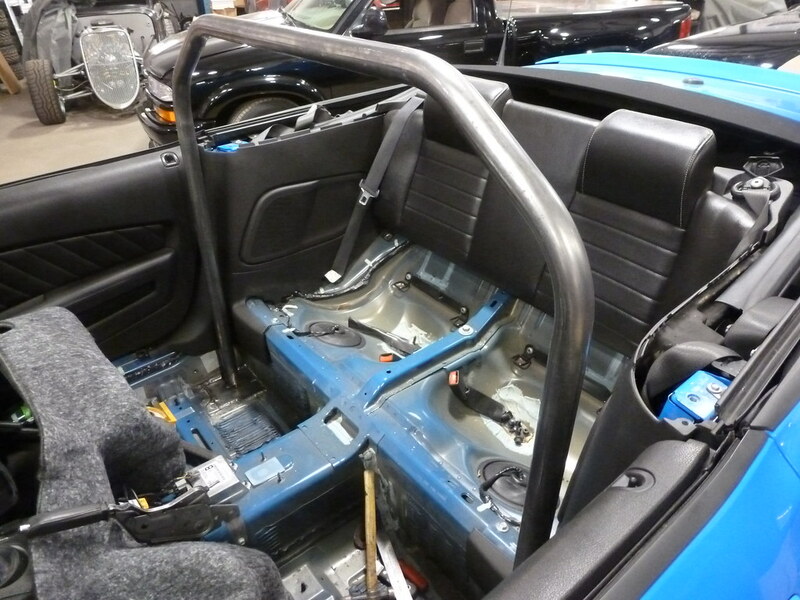 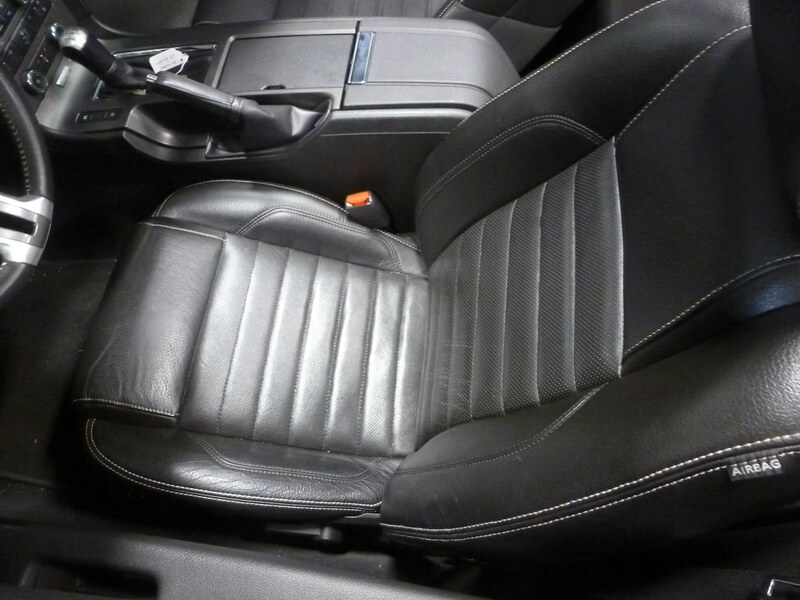 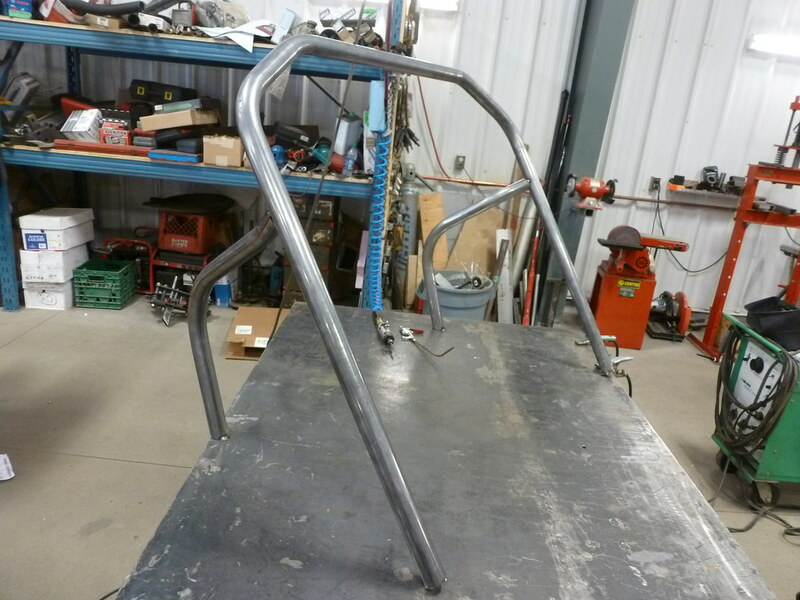 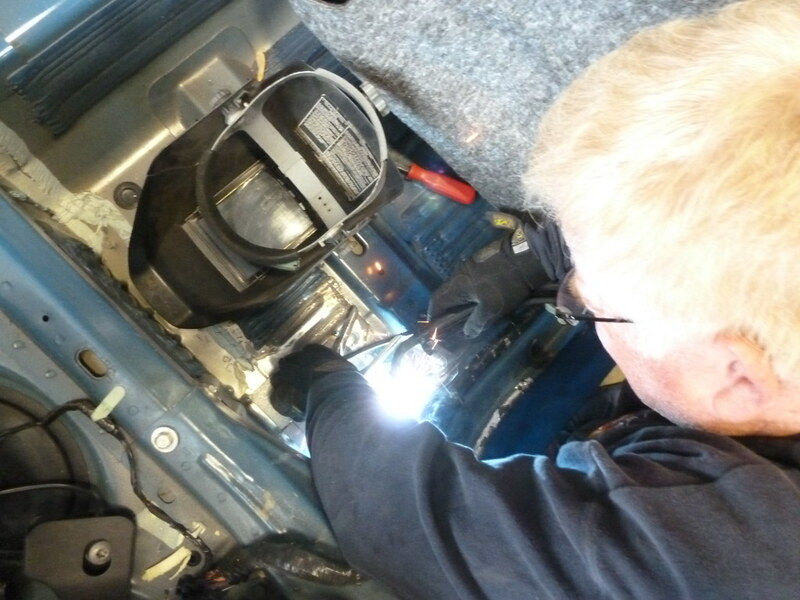 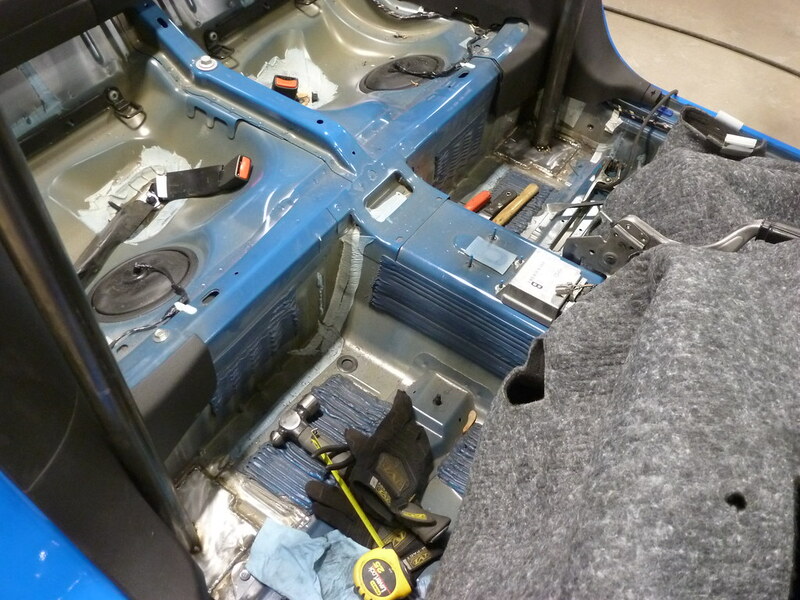 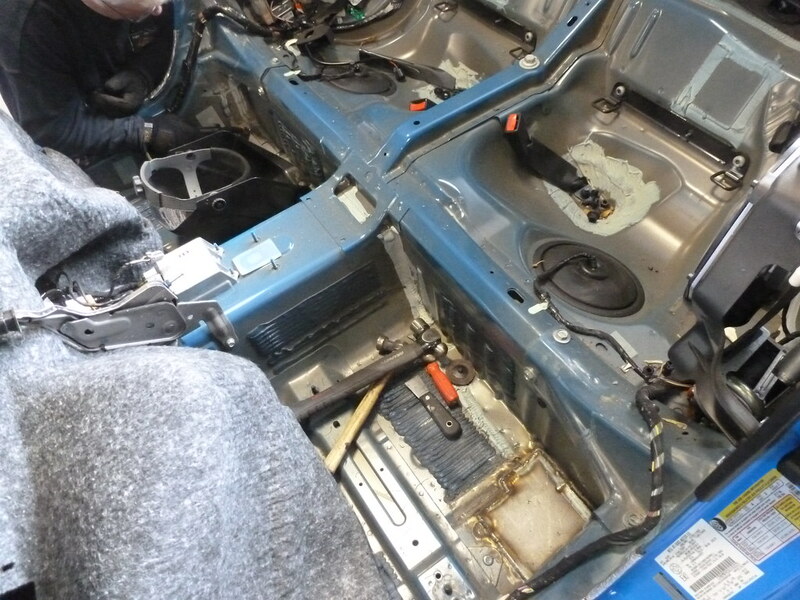 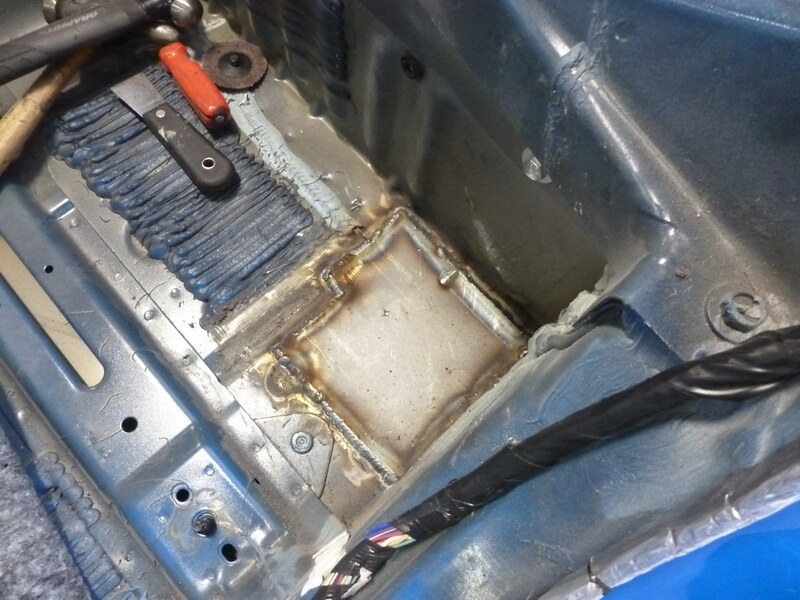 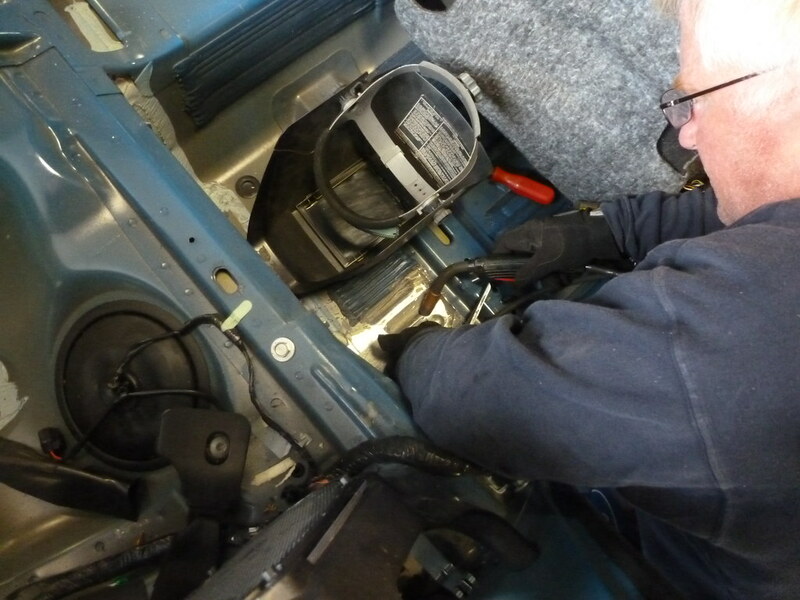 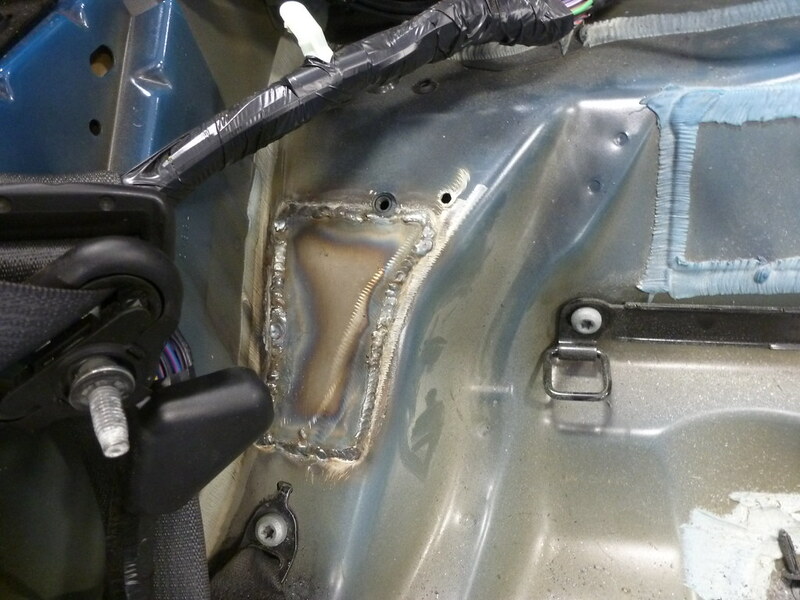 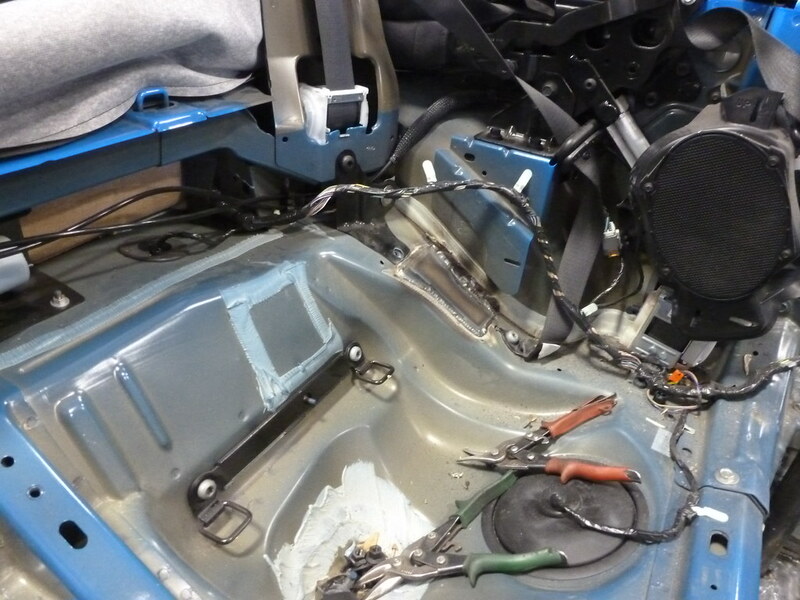 It’s mounted on plates welded to the body for strength and fits perfectly inside the stock interior.